Due to Jio Effect , Airtel Introduced Two More Rs. 399 & Rs. 249 Plan Offer to Compete with jio Dhan Dhana Dhan packs where You have to Pay Rs. 300 Only While in Jio You have to pay Rs. 309 So Jio Is best but if you are Airtel User then this Airtel Rs. 399 or Rs. 249 Plans is Best for you to Enjoy Unlimited internet and Calling for 84 days at just Rs. 399. This offer is Valid for only 4g/3g/2g Users if you are 3g/2g then airtel introduced Rs. 349 Plan Where You will get same benefits for 28 days. After coming Reliance Jio , Lots of Plans launched by All Companies Check Some Most Recharged Packs :- Airtel Rs. 148 Plan , Vodafone Rs. 144 , Idea Rs. 149 etc. You can Enjoy Unlimited Calling to any network , It’s not matter you are new or old but 4g is Necessary. You can enjoy Daily 1.4gb Data with Full 4g Speed. Let’s Come How to search and Activate this Airtel Rs. 399 Plan ? Note :- Both Plans are same, only Validity of Rs. 244 is only 28 Days with 2gb Data per Day while in Rs. 399 1.4gb Data. In Both you will get same benefits. You can Find this Offer by Dialing Ussd Code *121# or Using Check Special offers online or Using Myairtel App. In Case of Ussd code follow Screen Instruction or Select Plan in Myairtel app or If you Seen in Myairtel app then , You can Recharge Via Any online Method (Paytm Freecharge Mobikwik) by Entering Amount Rs. 399 or Rs. 249. Once Your recharge will be Complete then You will Get Confirmation Message. Tip :- Pay by Phonepe & get 30% Cashback on Your First Recharge , Rs. 5 on Second and Rs. 15 on third Recharge or Check More Phonepe Recharge Offers. You will get Daily 1.4gb 4g data with Unlimited any Network Calling. Daily Free unlimited minutes for A2A Calling & other Network calling. You Cannot Share this Data. 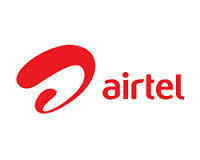 If you are going to Recharge Your Airtel Prepaid Sim Card via this Rs. 399 Plan then You can avail Flat Rs. 75 Cashback on 1st Recharge & Rs. 50 Off on Subsequent Recharges via Airtel Payment Banks on My Airtel App. Download My Airtel App or Open Airtel Website & Login via Number. Now Initiate a Recharge of Rs. 399 & Pay Money via Airtel payments Bank to get Rs. 75 Cashback within 3 Days. Offer valid for Limited Period Only, Check it on my airtel App before Recharge. To grab Subsequent Recharges Cashback. You must have to Done 1st Recharge in Offer Period. Maximum You can Avail Rs. 399 Off in 12 Months. I think this Best offer Because Once you Recharge by this Plan then You don’t have to do any Recharge between 84 Days. Discussion on "Airtel Rs 399 & Rs 249 Plan -Get 1.4gb Data/Day (Extra Sim Validity)"
Airtel is making people fool and still unable to compete with jio.Airtel is adopting double standard with its consumers specially prepaid.I am a 4g user I recharged for 399 but didn’t got this I felt better to port to jio. Thank You Shishpal Singh For your Feedback. I ve activated 399 plan but 1 gb is not enough..can i activate 244 at the same time and get 2gb per day? I have tried to recharge 399 pack but failed. I think that there is no 399 pack in my airtelapp. Is it available on my phone?